Mr. Kellar has been Salem’s Principal since 2011. He grew up in a suburb near Chicago and graduated from Concordia University – River Forest. Rob then went on to earn his Masters Degree in Educational Leadership from Florida Atlantic University in Boca Raton, Fl. He has had the honor of serving schools in Florida and Illinois as a teacher and administrator. Rob’s favorite Bible verse is Isaiah 40:31, “But they that wait upon the Lord shall renew their strength; they shall mount up with wings of eagles; they shall run, and not be weary; and they shall walk, and not faint.” He and his wife Karen have three grown children. He is a lifelong Cubs fan who likes to fish and work outside. Miss Pam Tosie is the Kindergarten teacher at Salem. She received her B.A. in Elementary Education, and her Lutheran Teacher Certificate, from Concordia University Chicago in 2013. She also has her Missouri Early Childhood teaching license. Prior to coming to Salem, she taught Preschool at Word of Life Lutheran School, here in Saint Louis. Lutheran teachers have the unique (and awesome!) opportunity to share the love of Jesus, daily, with their students. Miss Tosie loves that she gets to be a part of this, so early on in her students’ faith walk, and gets to watch their faith grow, firsthand! In her spare time, Miss Tosie enjoys spending time with family and friends, traveling the country and photography. Her favorite Bible verse is 2 Timothy 4:7, “I have fought the good fight, I have finished the race, I have kept the faith.” Miss Tosie is so excited to be at Salem, and be a part of the Salem family again, since this is where she attended, graduated, and was confirmed. Mrs Evangeline Fanger is the first-grade teacher at Salem. She received her Bachelors of Science degree in Elementary Education from Missouri State University with an emphasis in communication. She is currently working towards her Master’s degree in Elementary Education with a specialization in literacy. Mrs. Fanger has also received special training in smart board instruction, differentiated instruction and using technology in the classroom. During her time in college Mrs. Fanger enjoyed volunteering in various elementary classrooms and participating in her University’s service learning projects. These experiences gave her the opportunity to serve and strengthen her community through the power of education. 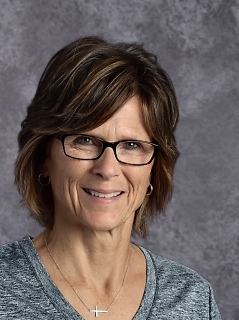 Mrs. Fanger’s goal is to help each student recognize both their academic and personal strengths, and to use those strengths to reach their full potential. Mrs. Fanger views her classroom as a learning community in which we all feel safe to take risks, ask questions and learn from one another. In her free time, Mrs. Fanger enjoys spending time with her friends, family, husband and their two dogs. 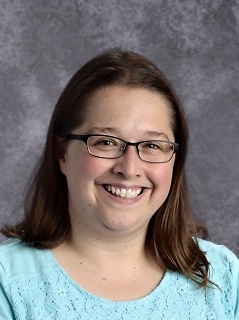 One of Her favorite bible verses is Hebrews 11:1 “Now faith is confidence in what we hope for and assurance about what we do not see.” Mrs. Fanger is so happy to have joined the Salem team and looks forward to building lasting relationships with staff, students and their families. Ms. Marie Wilson is our 3rd Grade teacher and Early Childhood Director. Marie earned a Bachelor’s Degree in English and a Master’s Degree in Elementary Education at Truman State University. Marie’s favorite Bible verse is 1 John 1:7. She has two daughters, Sophia and Mia. Mrs. Meyer graduated from Truman State University with a Bachelor of Science in Computer Science. 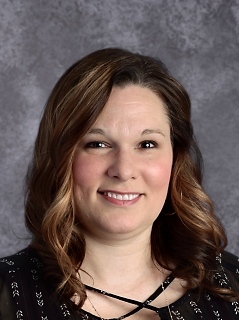 She earned her teaching certificate from University of Missouri St. Louis and her Master’s in Business Administration from Maryville University. 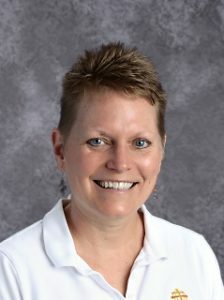 Mrs. Meyer has been a computer trainer, Mad Scientist, Professional speaker, Girl Scout Leader, Sunday School Teacher, softball coach, basketball coach and most recently a substitute teacher for the last six years at local Lutheran schools. Her favorite Bible and confirmation verse is Matthew 28:19-20, “Go therefore and make disciples of all nations, baptizing them in the name of the Father and of the Son and of the Holy Spirit, 20 teaching them to observe all that I have commanded you. And behold, I am with you always, to the end of the age.” Mrs. Meyer is married to Jay Meyer and has 3 daughters (Theresa LHSS ’18, Emily LHSS ’21 and Jessica LHSS ’25). Mrs. Meyer is excited to be back home at Salem since this is where she was baptized, confirmed, graduated, and married. Laura earned a B.A. from Concordia University-Wisconsin in 2007. During her time in education, she has taught grades 5-8 at Salem. She most enjoys “…the kids! They can be challenging, but they are so much fun to talk to and work with.” She thinks Salem is special because of “the AMAZING staff! Everyone is so dedicated to making Salem a great place to learn and grow. They truly care about the success of each student. God is quite evident and is doing good things here at Salem.” Mrs. Frank’s favorite Bible verse is Psalm 46:10, “Be still and know that I am God”. 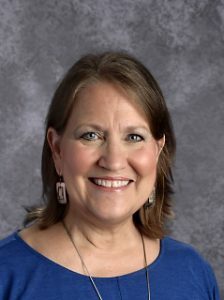 During the school year, Mrs. Frank leads Faith Families, creates the yearbook, and is the Sunday School Superintendent. She and her husband Peter have two kids, Sawyer & Melody. Mr. Geldmacher earned a B.S. in Social Sciences and Secondary Education from Missouri Baptist University in 2014. He taught for two years at Salem Lutheran Black Jack and taught last year at St. Louis Catholic Academy in north St. Louis City. 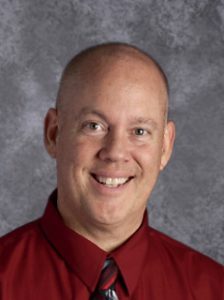 During his time in education, he has taught middle school social studies as well as literature and language classes. This school year, Mr. Geldmacher has assisted with the Cross Country team and has assisted Mrs. Carney with Athletic Director duties. He and his wife Stacey have three children, Jakob, William & Liliana. Mrs. Rivers is the 8th grade homeroom, and middle school math and language arts teacher. She serves as the Academic Team Advisor. Lisa earned a B.S. in Elementary Education from Concordia University- Seward, as well as a M.A. in School Counseling from the University of Missouri- St. Louis. Prior to teaching at Salem, Lisa served at St. John’s Lutheran School in Ellisville. Lisa joined the Salem staff in 2000. She served as the school counselor for five years. Lisa currently teaches middle school math and literature and is the 8th grade homeroom teacher. She enjoys the sense of humor that middle school students have. She thinks Salem is special because “It is a family. Everyone looks out for each other.” One of Lisa’s favorite Bible verses is Proverbs 3:5-6, “Trust in the Lord with all your heart and lean not on your own understanding; in all your ways acknowledge Him and He will make your paths straight”. Lisa is married to Joel. They have three children: Andrew (Salem Class of ‘06); Josh (Salem Class of ‘09), and Sarah (Salem Class of ‘13). In her spare time, Lisa enjoys reading, walking, spending time with her family. Originally from Houston, Texas, Mr. Woody Babb started college at the University of Alaska before transferring to Southwest Missouri State University (now Missouri State) to earn his Bachelor of Science in Education (Comprehensive Art). He received his Master of Art (Drawing and Painting) from Fontbonne University. Mr. Babb recently retired after 30 years teaching art and coaching volleyball in Missouri public schools, the past 26 at Bayless. He has been a member of Salem for over 25 years and has served as a Sunday school teacher, Bible study leader, usher, and currently serves on the Board of Elders. 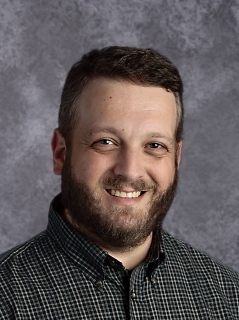 Mr. Babb is married to Kathy, a teacher with Special School District, and has an adult daughter and step-son; he enjoys art, volleyball, reading, playing games, and traveling. He is very excited for the opportunity to teach art at Salem and looks forward to working with our students and staff every week. 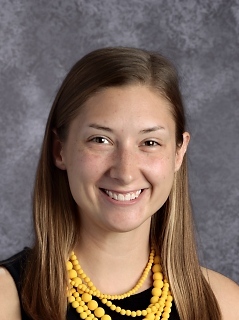 Ms. Petrillo is employed by the Lutheran High School Association of St. Louis as an instructor for the Lutheran High School South grade school instrumental music program. 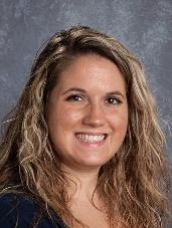 She earned her BA degree and MS degree in Music Education from Southern Illinois University- Edwardsville, and is certified K-12 in both instrumental and vocal music. She has continued her education through classes at various colleges and universities, including VanderCook College of Music in Chicago and Truman State University. Her previous teaching experiences include St. Martin of Tours School (band, general music, liturgical music), Bishop Dubourg High School (band, guitar, general music) and Buerkle Middle School- Mehlville School District (Director of Bands). 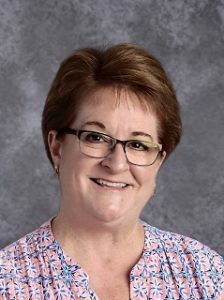 In addition to teaching band at Salem Lutheran School, Mary is also a team teacher and substitute teacher for band classes in the LHSS program, and maintains a studio schedule for individual instruction on oboe, clarinet and saxophone. She feels blessed and honored to be part of the music education taking place in the Lutheran Schools, and believes deeply in the Salem Band Program for the opportunity it provides each student “to develop individual, God-given talents for service in life, at home, at school, and in church” (LHSS band brochure). One of her favorite Bible verses is Philippians 4:6-7, “Don’t worry about anything; instead, pray about everything. Then you will experience God’s peace, which exceeds anything we can understand.” Her statement of faith stems from Proverbs 16:9, “We can make our plans, but the Lord determines our steps.” Mary enjoys spending time with her family, biking, opera, playing music, lunch with friends, and reading for relaxation. Mrs. Duy received her BS in Psychology from Missouri State, and a Master’s in Social Work from Saint Louis University. She has completed the requirements to practice as a Licensed Clinical Social Worker (LCSW). Laura has worked in the areas of child abuse and neglect investigating, victim’s advocacy, mental health court, and children’s inpatient mental health care. This is her sixth year working as a Professional School Counselor. Lara grew up in the Lutheran faith, and attended both Word of Life School and Lutheran High School South. She is the proud mother to three loving and energetic boys, and two very lazy Great Danes. She loves to read in her spare time and she and her husband enjoy traveling. Mrs. Johnson received her Bachelors of Arts degree in Psychology and her Master’s Degree in Human Development Counseling from St. Louis University. She is currently a Licensed Professional Counselor. She has been in the field of counseling for five years. Mrs. Johnson has experience working with children and families undergoing the process of divorce, grief/loss of family members, and social-emotional development. Mrs. Johnson is the mother of two loving and very active young children. Mrs. Johnson loves reading and hiking with her family. Mrs. McCord has taught music to Kindergarten through fourth grade students at Salem for the past ten years. She earned a B.S. in biology from Valparaiso University, a B.A. in music from the University of Missouri-Kansas City, and an M.A. in teaching from Washington University in St. Louis. 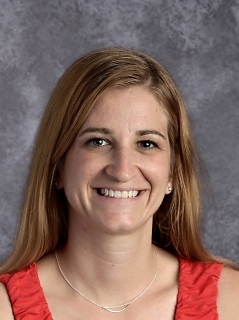 Each summer, Mrs. McCord has continued adding to her skills in music teaching by studying specialized approaches in music education at both Webster University and UMSL. Mrs. McCord loves teaching music because it no only stretches our minds, it also has the ability to touch us deeply into our souls; participating in the gift of music that God has given us makes us better human beings! Besides sharing her love of music, Mrs. McCord prays that she daily shares the love of Jesus with her students: “And I pray that you, being rooted and established in love, may have power, together with all the saints, to grasp how wide and long and high and deep is the love of Christ” (Ephesians 3:17-18). Mrs. McCord is married to Duane, a pharmacist, and they have a grown son, a daughter in college and a son who is already in heaven. When she is not teaching or planning lessons, Mrs. McCord enjoys visiting her children, cooking plant based meals, walking her dog, playing keyboard in her church praise band and working out at Jazzercise. Mrs. Carney earned a B.S. in Health Education with a PE Minor/Coaching Emphasis from Illinois State University, where she played Intercollegiate Softball. She started at Salem in 2002 and teaches Preschool 3-8th grade PE as well as Middle School Health and Fitness. She also coaches volleyball, basketball and track. She loves teaching at Salem because she gets to know and witness to all of the students in the school. 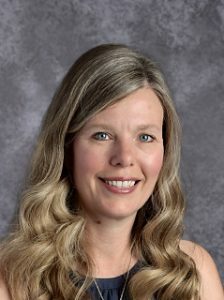 Prior to coming to Salem, Mrs. Carney served at Lutheran High School South and Washington Lutheran Grade School and was a stay-at-home mom for 15 years. 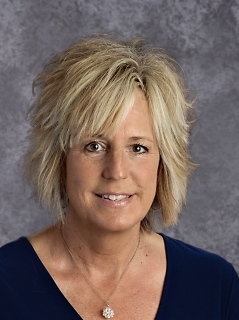 She also has an extensive coaching background including Head coaching stints in softball at Missouri Baptist College and Lutheran High School South, as well as tennis, soccer and volleyball at Lutheran South. Her favorite Bible verse is Romans 12:12, “Be joyful in hope, patient in affliction, faithful in prayer.” She is married to Patrick, a Superintendent at Western Specialty Contractors.. They have 4 children: Kelley (Salem ’01), Kirsten (Salem ’05), Colleen (Salem ’08), and Cooper (Salem ’11). Mrs. Carney loves her family time, working out, all genres of music (especially blues!) and Cardinal baseball. Mrs. Dawn Praechter earned her Bachelors degree in 1984 and her masters degree in 1985 in Speech-Language Pathology at Fontbonne University. She retired in June 2015, after working 30 years full -time in the public schools. After being retired for only a few months, she missed working with children, so decided to go back to work part-time. She currently works for the Lutheran Association for Special Education (LASE) and for Supplemental Health Care. She has many years experience conducting school-wide speech/language screenings and evaluations, providing speech-language therapy to children ages preschool through high school, and being a crucial member of a district and building level Multidisciplinary Diagnostic Team. She also served many years as the lead speech-language Pathologist in her district to over 25 speech-language therapists, purchasing district-wide diagnostic and therapy materials, and providing quarterly Professional Development training for special education staff and therapists. 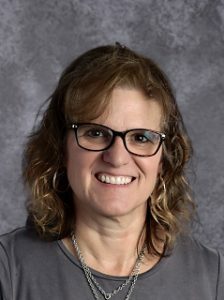 Mrs. Praechter enjoys working at Salem School and getting to know so many wonderful students, their families, and the school staff. She chose the field of speech-language pathology to help children with communication challenges become better communicators, since she views communication as being a vital part of success in life. Mrs. Praechter is married and she, along with her husband and daughter, reside in Sunset Hills. Her husband retired several years ago after working 25 years for Special School District, in which he was employed as a special education instructor and assistant principal. 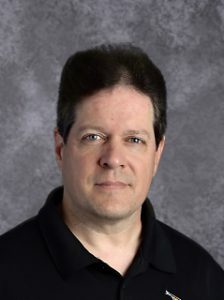 He recently retired from the Department of Elementary and Secondary Education (DESE) as an instructional specialist providing teacher training and support for the state schools of the severely handicapped. Her daughter, Alyssa, is a recent graduate from Fontbonne University with a degree in Communication Studies, and is currently employed as a communications coordinator for On Site Systems, an environmental health and safety software company in Webster Groves. Mrs. Praechter and her family enjoy traveling, volunteering, and spending time with family and friends. Her favorite Bible verse is from the Philippians 4:6-7, “Do not be anxious about anything, but in every situation, by prayer and petition, with thanksgiving, present your requests to God. And the peace of God, which transcends all understanding, will guard your hearts and your minds in Christ, Jesus”. Ms. Bock got her Bachelor’s degree from Missouri State University, and her Master’s in Special Education from Fontbonne University. After being a stay-at-home mom to her three daughters, she worked part time at CCLS. 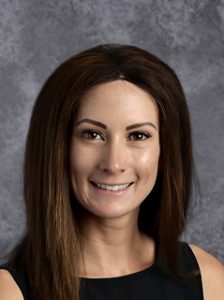 For the past 15 years, she taught in the Affton School District, at both the middle and high schools. 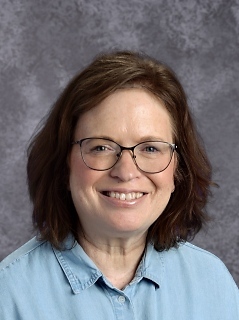 One of her favorite Bible verses is 1 Thessalonians 5:16-18, “Rejoice always, pray without ceasing, give thanks in all circumstances; for this is the will of God in Christ Jesus for you.” She is employed by Lutheran Association for Special Education (LASE), partnering with Salem. ASE (Lutheran Association for Special Education) is excited to introduce Annette Morrow as part of the LASE Team. Annette will be working alongside Nancy Bock to help support our students. Annette previously was a special education teacher for SSD in the Affton, Rockwood, Webster Groves and Hancock school districts. In her spare time enjoys reading, movies, music, and riding her bike. She is very excited to be working this year at Salem.